Designed to help close the digital divide, Comcast’s Internet Essentials program provides Internet service at home to eligible low-income families for around $10 a month, the ability to purchase a computer for around $150 and access to free digital literacy training in print, online and in-person. The program was first announced in 2011 right here in the Chicago area and since then has provided 300,000 families, or more than a million people, access to the Internet at home nationally – 100,000 people in the Chicago area alone. 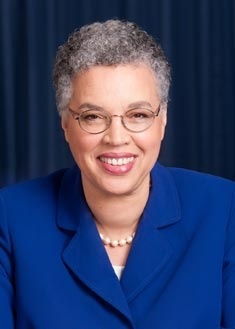 Today, Comcast joined Cook County Board President Toni Preckwinkle, Thornton Township Supervisor Frank Zuccarelli and leaders from local community- and faith-based organizations to announce an additional step it’s taking to close the digital divide – the creation of an “Internet Essentials Learning Zone” in Thornton Township. A $10,000 donation to be used to enhance the computer lab and provide digital literacy training at Faith United Methodist Church and to create a new computer lab at the Riverdale Community Resource Center. In 2013, Comcast established the first Internet Essentials Learning Zone in the nation in Chicago’s Bronzeville, Englewood/West Englewood and North Lawndale neighborhoods, and earlier this year established zones in Chicago’s Edgewater, East/West Rogers Park and Uptown neighborhoods, just west of the city in suburban Cicero/Berwyn and downstate in Peoria. For more information about Internet Essentials visit InternetEssentials.com for English and InternetBasico.comfor Spanish. Educators or third-parties interested in helping to spread the word can find more information atInternetEssentials.com/partner. Parents looking to enroll in the program can call 1-855-846-8376 or, for Spanish, 1-855-765-6995.